Hi, I wish you a happy and cheerful christmas weekend. 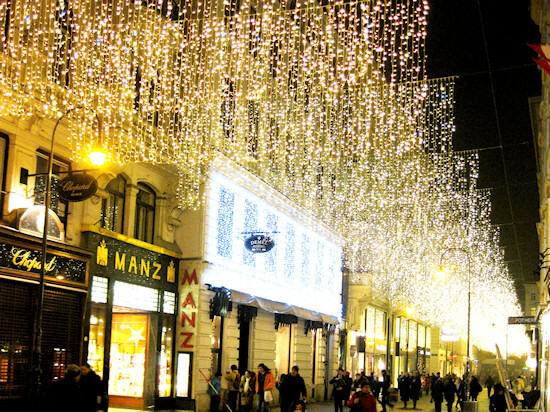 I have taken the photos here from the city center of Vienna two days ago to show you how beautiful Vienna is during christmas time. I especially love the beautiful street decorations, which you can see on many streets in Vienna. 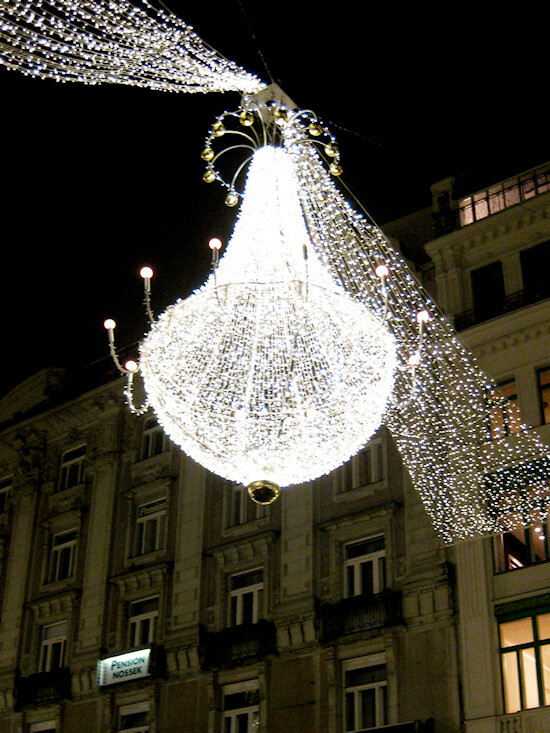 The best is probably the "Luster" (chandelier), which is hanging all over the central street Graben. We had also a lot of snow the past weeks, but as usual it melts away at christmas. 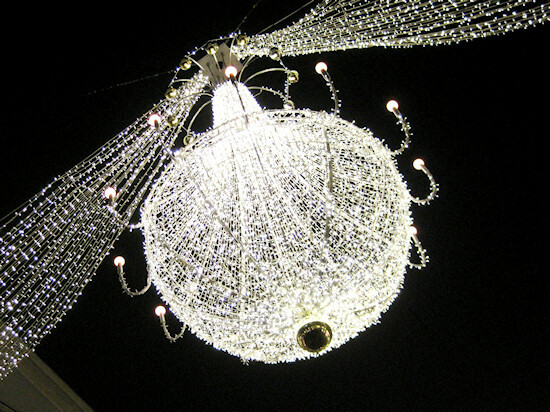 I will take some days off and wish you happy holidays!